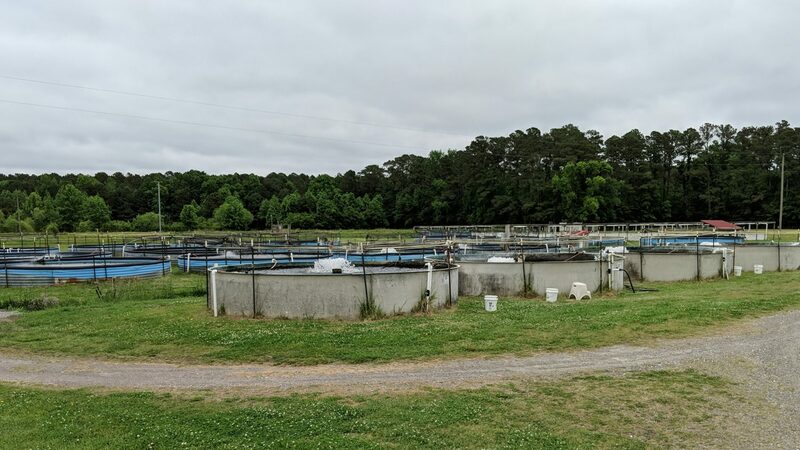 The Pamlico Aquaculture Field Laboratory (PAFL) is a North Carolina State University field site dedicated to research on aquaculture, estuarine and marine fisheries and ecology, and fish reproductive behavior, physiology, growth, evolution and genetics. Unique features of the PAFL include its Pamlico Sound location (Aurora, NC), offering multiple sources of fresh, brackish, and full-strength seawater; a visiting scientist quarters accommodating up to 10 occupants; sixteen 0.1-hectare ponds; a hatchery with several recirculating aquaculture systems; a 300-foot pier; and a boat ramp. The Superintendent of this facility is Dr. Andy S. McGinty. The PAFL supports the striped bass and hybrid striped bass farming industry in the United States. Farming of hybrid striped also is an important industry in North Carolina, which exists primarily within a 30-mile radius of its birthplace at the PAFL, in Beaufort, Craven, Hyde and Washington Counties. It is the sole world source of domesticated striped bass and serves as the primary source of broodstock and the main site for breeding activities in the National Program for Genetic Improvement and Selective Breeding for the Hybrid Striped Bass Industry. 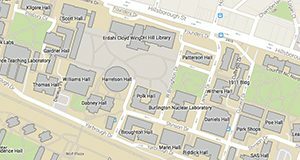 This unique program is a collaboration between the United States Department of Agriculture, North Carolina State University, several commercial striped bass and hybrid striped bass farmers, and several other government and university research laboratories. These special lines of domesticated fish are available to aquaculture producers and state and federal fish hatcheries. For additional information about genetic improvement for the hybrid striped bass industry or broodstock availability, contact Dr. Benjamin Reading or Dr. Andy S. McGinty.